This beauty has taken up residence outside our kitchen door. I like to think of her as our guardian and bringer of good luck. Every morning, I check on her and the state of her web. 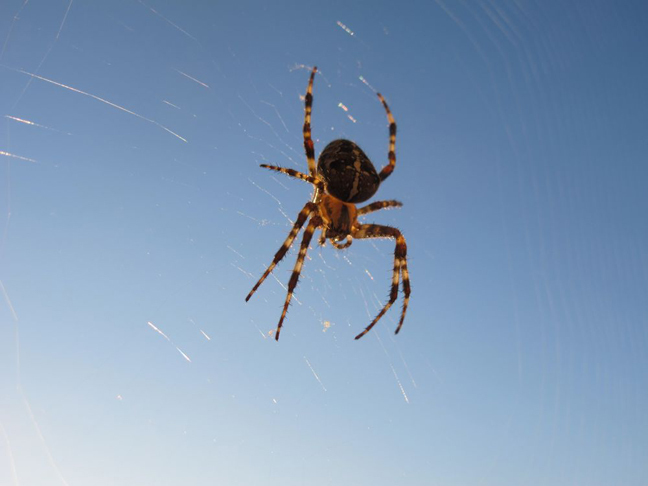 She is meticulous about keeping her web in tip-top shape, making repairs as necessary. We think she is garden spider. It's hard to tell scale in the photo, but she is approximitely 2" and her web is probably 20" in diameter. We'll all be sad when she leaves.